The Rev. Matt Wahlgren celebrates Holy Eucharist Rite II on Sundays at 10:00a.m. in our sanctuary. All are welcome - no experience necessary. We adore visitors at St. Paul's and will welcome you warmly so do not hesitate to just show up one Sunday and surprise us! Childcare is available during the service in the nursery. Children may also worship in the sanctuary with their parents, or spend time at the soft-space/activity table (located about half-way down the main aisle on the left) where they can play, color, or dream in their own special "space." We at St. Paul's consider children to be members of the household of God upon their birth and therefore welcome them to the table for communion or blessing at their parents election. Young people are typically confirmed into the Episcopal Church by the bishop during adolescence. Our community meets regularly for book studies, adult formation/bible study, healing prayer, food and fellowship. For a listing of current learning/fellowship opportunities, please call the church office at 419-332-3032. You are always welcome to join us and join in the fun! We host a free community meal the fourth Sunday of every month September through May beginning at 5 pm in our parish hall. Be our guest! All are welcome! Need a free meal every day of the week? Call our church office, or stop by, and we'll give you a schedule of all the community meals offered in the Fremont area. You'll find you can locate a nutritious, no-cost meal in town almost every day of the week! 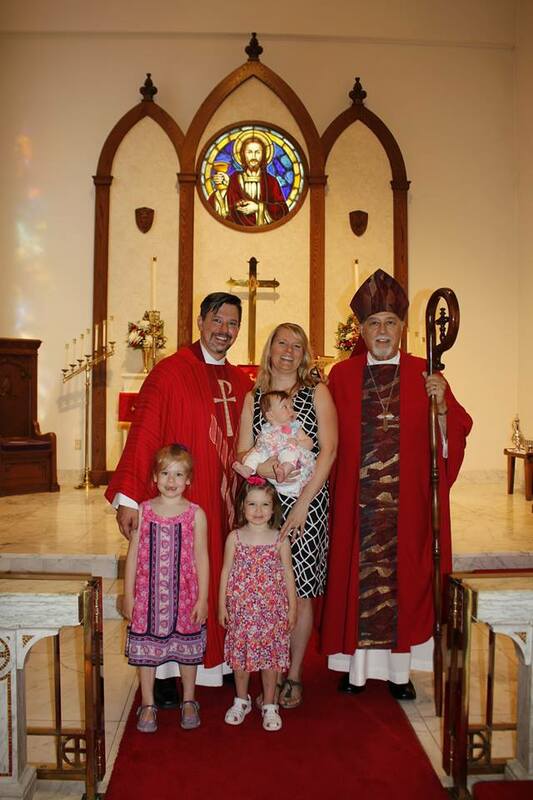 For information about infant/adult baptism, confirmation, or reception into the Episcopal Church please contact our Priest-in-Charge, Matt Wahlgren, through the parish office at: 419-332-3032.